Turkey, home of natural beauties, cultral lifes and historical ancient cities. 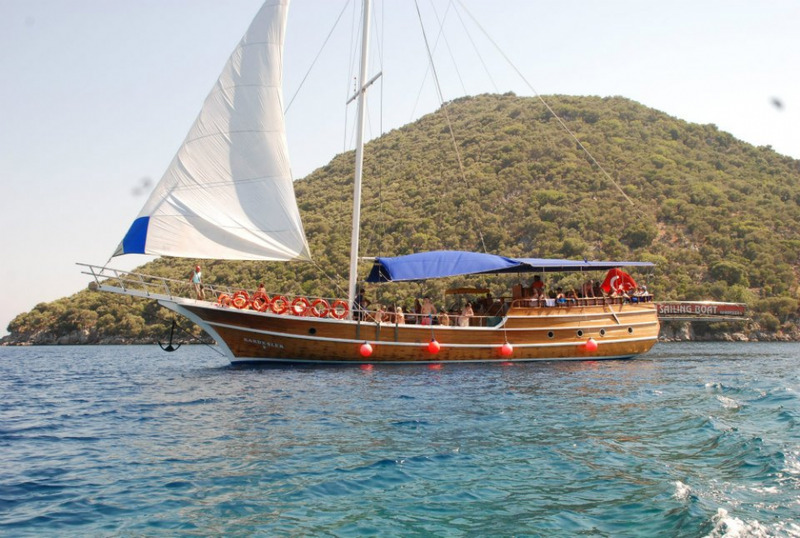 Blue cruises in Turkey is, increasingly becoming popular day by day during summer times. 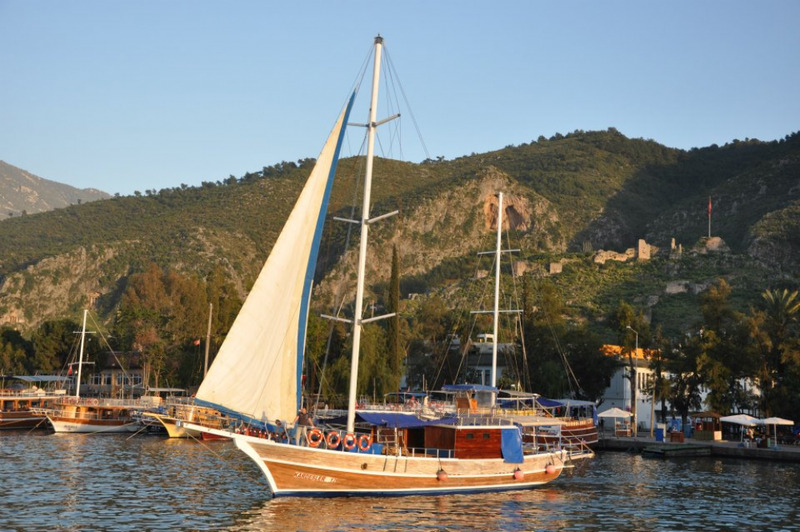 Fethiye is one of the star in Turkey on boat trips. 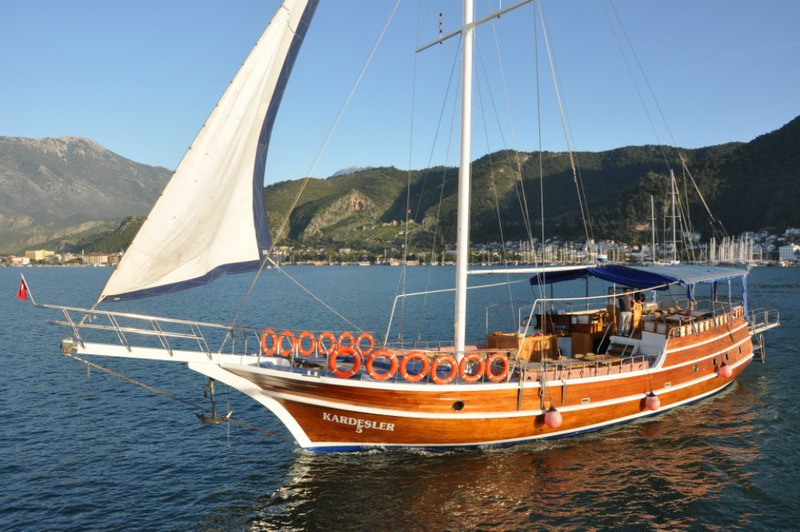 Today there are lots of opportunities about boat trips from Fethiye Harbour. Daily boat trips to beautiful, historical and tranquil islands of Mediterranean is most unique dream of visitors who comes to Fethiye. At this point we, as Kardesler Boats, organizing quality, daily sailing boat trips to cyristal blue, turquoise waters, Lycian, Byzantine & Ottoman Empire ruins and peaceful natural islands. Swimming breaks, barbeque open buffet lunch, limited capacity sailing boats and less busy islands bays to visit are some reasons why our guests return to us. 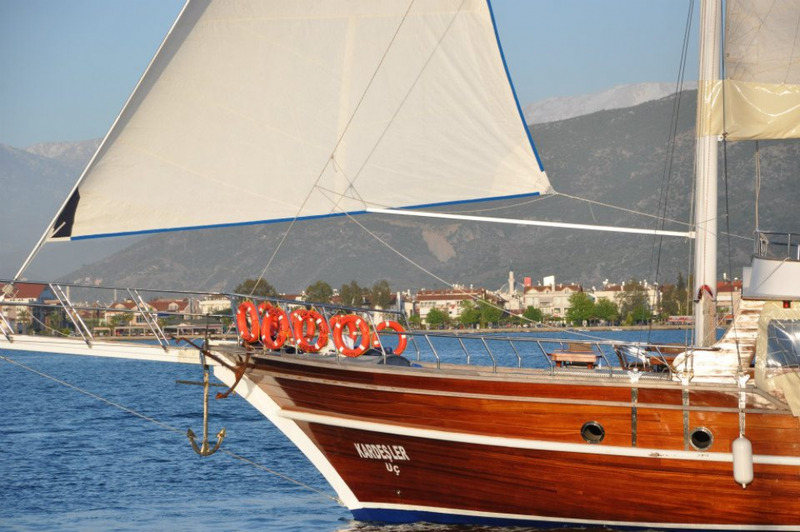 All colors of sun, sunset and unlimited green of pine forests waiting for you during your day with Kardesler Sailing Boat Company.